Roots fleshy, branched with a simple or branched caudex. Stems leafless, erect or ascending, 1–5 cm with a whorl of membranous bracts below the flower. Basal leaf blades tubular 1–5 cm long, appearing and usually disappearing before flowering. Flowers solitary; sepals 6 to 9, unequal, 8–25 mm long with entire margins; petals 12 to 18, white to pink, 15–35 mm long; stamens numerous; style branches 4 to 8 (Lesica 2012. Manual of Montana Vascular Plants. BRIT Press. Fort Worth, TX). 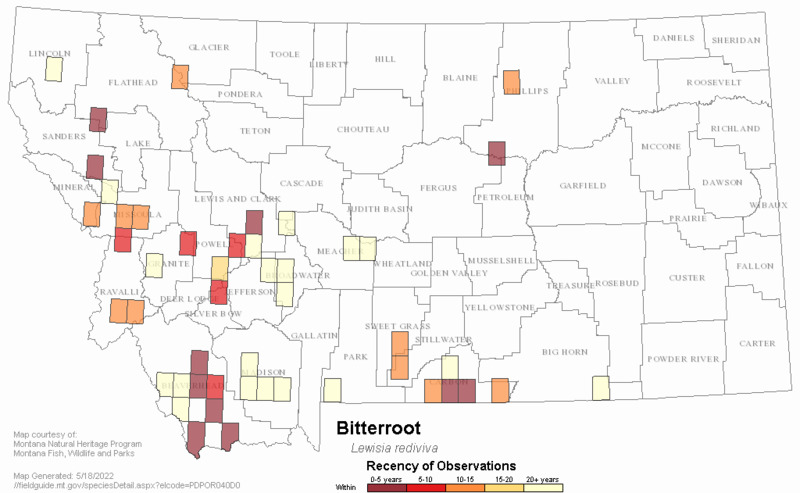 Bitterroot is the State Flower of Montana. 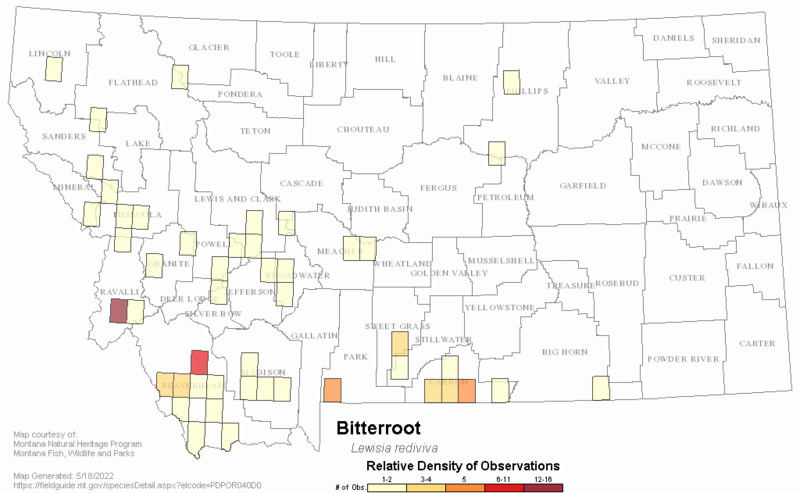 In MT across much of western and southern MT; BC to AB south to CA, AZ, and CO (Lesica 2012. Manual of Montana Vascular Plants. BRIT Press. Fort Worth, TX). Gravelly or sandy, well-drained, usually sparsely-vegetated soil of grasslands; valleys, montane (Lesica 2012. Manual of Montana Vascular Plants. BRIT Press. Fort Worth, TX). Web Search Engines for Articles on "Bitterroot"